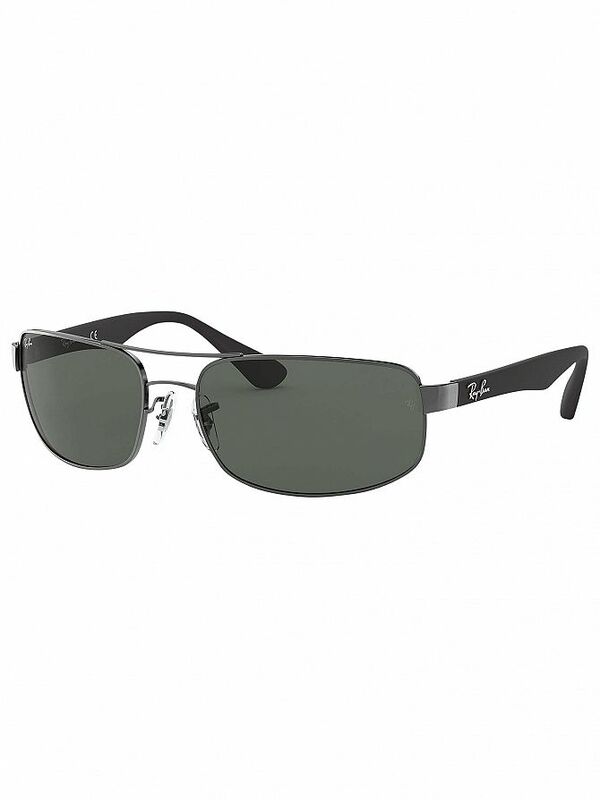 The RB3445 Rectangular Sunglasses from Ray-Ban features steel double brow bar and rubber inserts on the temple tips. Featuring branding on lenses and arm, this sunglass uses Green Classic G-15 lenses. These sunglasses comes in Gunmetal/Black design.